What doesn’t Minecraft have (1.6)? The next update for the beta version of Minecraft has been outlined and will add something that I believe every single Minecraft player will appreciate: maps. 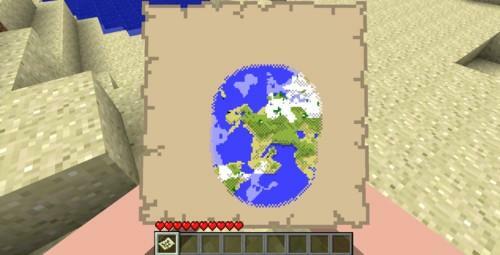 Instead of being something that will automatically populate itself, maps in the Minecraft world will need to be “completed” by the user. The map is an item in your inventory that can be equipped, once crafted, and will be filled in as you explore your world. You can and will need to carry multiple maps as each one will be used to chart a specific area. Any changes that you make to the terrain will require an update of the map for that locale. The addition of the maps is the only gameplay feature being added in this update; everything else will fall into the category of bug fixes and system adjustments.